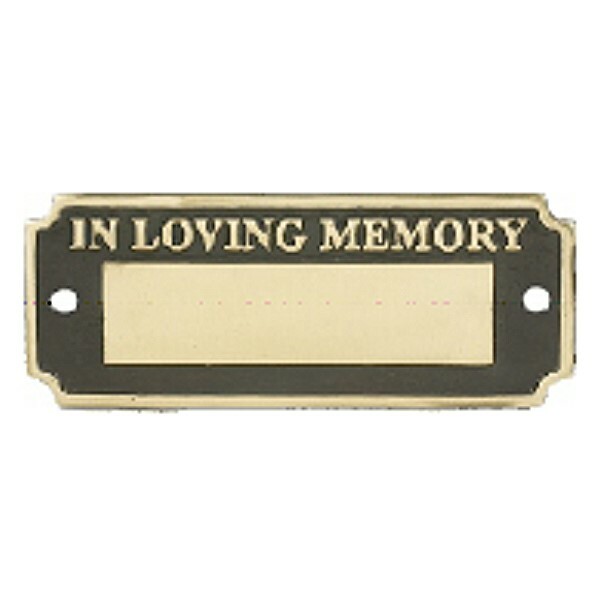 This small bench memorial plaque is made of high quality cast brass. The small brass bench memorial plate is engraved with your chosen name for free (up to a maximum of 20 characters), and is approximately 12cm by 5cm. The postage rate for the small bench memorial plaque is Band A.